ADHD stands for Attention Deficit Hyperactivity Disorder and impacts millions of children all over the world. This disorder can affect children, teens, and occasionally in adults. Children who are diagnosed with ADHD are hyperactive and cannot keep their impulses under control. They are unable to focus and pay attention and their behavior impacts how well they do in school and function in their daily lives. Boys tend to be more likely to be diagnosed with ADHD than girls. Parents and teachers begin noticing symptoms early on in their school years. Children with ADHD have a difficulty keeping track of their time, setting goals, and staying organized. They can be very easily distracted and have a difficult time accomplishing their goals. Many children with ADHD have a hard time sitting still and often cannot accomplish anything unless they are on the move. Dealing with ADHD can be a struggle not only for children but their parents as well. What many people don’t know is that there are various different treatment options available some can even be done in the home. Changing your child’s diet and eating patterns can really make a big difference in how they behave. 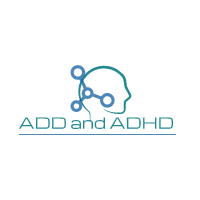 There is even an ADHD diet for kids that can help them maintain their moods and get them back on the road to success. Keep reading to find out more about various ADHD treatment options as well as even things as simple as food can make a huge difference. So how can changing what your child eats impact how they function with their ADHD on a daily basis? There are a number of ways. A diet for ADHD would consist of foods that would assist the brain so that it could decrease the symptoms of the disorder and helps to bring back their focus and concentration. Many studies have shown that what a child with ADHD eats can have a positive or a negative impact on them in the long run. Adding a significant amount of protein to a child’s diet can decrease the severity of their ADHD symptoms. Foods such as cheese, beans, meat, nuts, and eggs are all high in protein and should be incorporated into their daily meals. According to many studies, protein has the ability to increase their focus in both home and classroom settings. Cutting out foods that contain simple carbohydrates is also a must for children with ADHD. Cut out candy, honey, sugar, and corn syrup can make a difference in their behavior as well. You take away the simple carbohydrates and add the complex ones. Foods such as most vegetables, tangerines, oranges, apples, grapefruit, kiwi, and pears all contain complex carbohydrates. Eating these before bed can help the child sleep better which is a struggle for children with ADHD. Foods with omega 3 fatty acids that are found in salmon, walnuts, tuna, and Brazil nuts, are also good foods to add to your child’s diet. Children with ADHD also require a multivitamin from time to time. ADHD vitamins help to promote a balanced diet and provide them with the vitamins that they are not getting through their food. Some studies have shown that having your child take a 100% mineral and vitamin supplement every single day will help them with their struggles with concentration and other issues. However, there is not solid evidence that proves this to be a fact. Some studies have shown that food and beverages containing certain artificial colors such as yellow and red, have a negative impact on a child with ADHD. Same goes for any food additives such as MSG. These could cause your child to be more hyperactive than usual. There are certain foods that have been proven to have a negative impact on children with ADHD. Foods such as candy that have a lot of artificial coloring and sugar can make your child more hyperactive. The same thing goes for carbonated beverages such as soda. They are chalk-full of sugar and can cause your child to become rambunctious and out of control. It is high in caffeine and high fructose corn syrup that will also have a negative impact on them. Studies have shown that children who drink soda regularly tend so show symptoms of social withdrawal and aggression. While it is recommended that you provide your child with ADHD healthy fresh vegetables, frozen veggies are a big no-no. Many of these frozen foods contain artificial coloring so you should make sure to check all of the labels before purchasing. When you are preparing a cake for your child’s birthday make sure you do not use any cake mixes or frostings that may also contain artificial coloring as well as excess sugars. Your child’s ADHD symptoms would increase tremendously if these types of foods were to be consumed. This may go without saying, but beverages such as Red Bull and other energy drinks are also a big no-no. Teens love these types of energy drinks but they can have a negative impact on their ability to concentrate as well as other ADHD symptoms. Children with ADHD tend to be sensitive to certain foods such as wheat or dairy. Keep a close eye on your child to make sure they are not having any reactions to the foods you are giving them. Most children who have ADHD are extremely picky eaters. It can be extremely difficult to come with meals and snack ideas that they will enjoy. You surely cannot force feed them, so you need to get a little creative in order to provide your child with the nutrition that their body needs. Fruits are colorful and fun and can be a nutritious snack for your child. Creating a fruit bowl with colorful berries sprinkled with nuts could be a good idea for a child with ADHD who enjoys snacking on fruit. When you think that your child is not getting enough protein and vitamins in their diet, giving them a fruit shake could help. You can blend all of their favorite fruits into one tasty drink. It is colorful, it tastes good, and it provides your child with the fiber and vitamins that they need to be healthy and strong. If your child is a fan of peanut butter and jelly, then try making their sandwich on whole wheat bread next time. Peanut butter provides them with a lot of protein and whole grain will help with their digestive tract. Even try making them a peanut butter and banana sandwich which also contains a lot of vitamin D and potassium which is good for their bones. Instead of allowing your child to consume potato chips, try giving them whole wheat pretzels or crackers. They are crunch like chips, but without all the fat that comes along with them. It also provides them with fiber which can always be beneficial to a child with ADHD. Nuts and dried fruit are also a good option and so are carrot sticks and ranch dip. There are a variety of different healthy food options that you can give to your child with ADHD even if they are picky eaters. Some recent studies have shown that children who have ADHD have a greater chance of having severe digestive problems. This can lead to serious issues with constipation which can be very painful for a child. Even when a child is on a medication for their condition, it did not seem to help with their digestive problems. If you do notice that your child is becoming constipated often and it has become painful for them to have a bowel movement that you talk to your pediatrician immediately. Adding more fiber to their diet can also help loosen up their stool so when they are able to go, it is not as painful for them. Many children who suffer from ADHD are picky eaters which also causes constipation and irregular bowel movements. You must closely monitor your child’s diet to make sure they are getting enough fruits and fibers. Also keep a watch out for any food allergies as celiac disease is very common in children with ADHD. The ADHD diet for kids can be very beneficial in not only keeping their behavior at bay but also keep them from having severe digestive problems. Digestive problems that are left untreated can lead to serious problems. When an ADHD evaluation has been completed on your child, you should also get your pediatrician to test for any food allergies that could possibly impact their diet. Teaching your child to eat healthy foods is not only good for children with ADHD but for all children. What a child eats plays a huge role as to how they grow up. If they are healthy and strong they are more than likely going to fight off their condition with no problems.